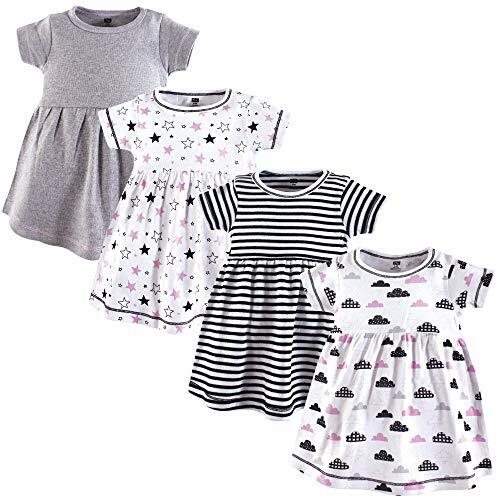 Are you looking for a set of stylish and comfortable dresses for your baby? One of the most exciting things you get to do when you have a baby is dressing them. You only have a few years before they don’t let you choose their outfits — so enjoy it while you can. Before you pick a dress, it’s a good idea to think about how comfortable it is, to ensure the outfit will be worn more than once. 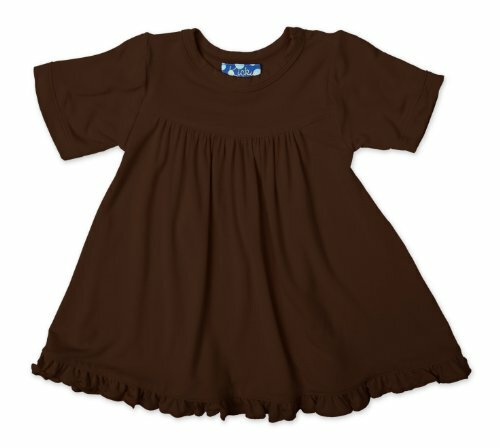 This also minimizes the chances your child will develop irritation or weird rashes from scratchy fabric. Use the links above to check the latest prices or read our in-depth baby dress reviews below. In many cases, babies are all about comfort, while parents are all about fashion. But these two don’t necessarily have to clash since brands are starting to do more to ensure clothes are comfortable and functional. What are the questions to ask yourself when looking for a dress? Pull-over or snap up? 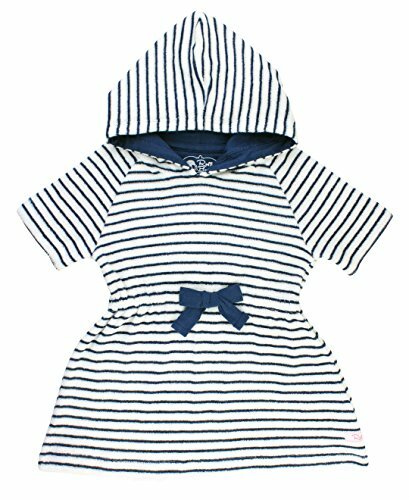 Most baby dresses are pullover style — you put them on your child by pulling it over their head. However, some babies don’t like the momentary darkness that comes with this; if so, look for dresses that snap at least half-way up. Attached or separate diaper cover? Many baby dresses will come with an attached diaper cover underneath. This can be convenient if your baby tends to lose their diapers easily. However, it can also cause the dress to feel too tight, depending on your baby’s torso length. Cotton or something else? The majority of babies don’t have problems with 100 percent cotton dresses. These days, however, other materials are popular as well (see the baby tutu trend). If your child doesn’t like other materials on their skin, or they get a rash, it may be better to try one before buying a pack (source). Every parent knows the difficulty of translating baby sizes from one brand to the next. I remember my child being a size “3T” in some stores while fitting in a “5T” in others. In that case, how do you know what size your baby is? While every brand is different, there are some things you can do to minimize the chances of having to return something. Buy a flexible tape measure: A lot of brands will give you chest or leg sizes in their sizing guide. If you have one of these guys, a quick loop around your child’s body or length may give you all the information you need to make the right decision. Overestimate: If you aren’t sure what size your baby is, use the next size up. For example, if your child is four, try a 5T. Worst case scenario, it’s a little too big and they’ll grow into it over the season. If you aren’t sure if you’re measuring your baby’s head and chest correctly for clothing, watch this video. 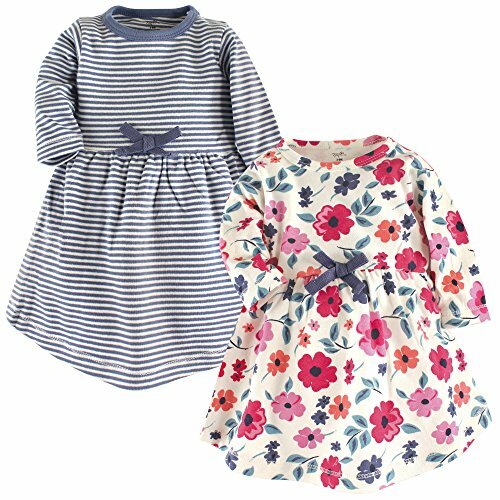 Dresses are a great option for your little girl. They’re comfortable, they allow for easy movement, and they can also make diaper changing a breeze. Plus, they’re adorable! While dresses are usually thought of as a formal option, in reality, you can find a dress for every occasion. Newborn babies are usually the most sensitive when it comes to fabrics. 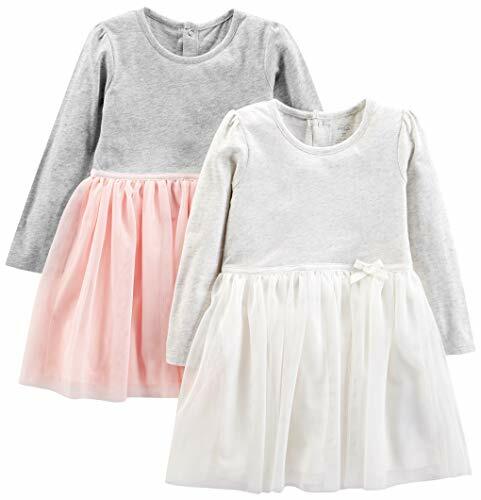 These dresses are 100 percent organic cotton, which will help reduce the potential for allergic reactions. The dresses are machine washable and don’t come with attached diaper covers — making washing and diaper changes super easy. There are many different style options, so you can choose the colors you like best. The best part — they come in packs of two. If your child was born in December, you’ll probably be looking for something to keep out the cold. For winter newborns, kimono gowns are a great way to keep them warm while also keeping the convenience of a onesie. These dresses are super eco-friendly. They are GOTS certified — which means they don’t contain any pesticides and the manufacturer must meet strict environmental and labor standards. Summertime means a lot of time outdoors. If you live in a place where the temperature climbs, it’s important to make sure your baby gets a lot of air flow and doesn’t overheat. 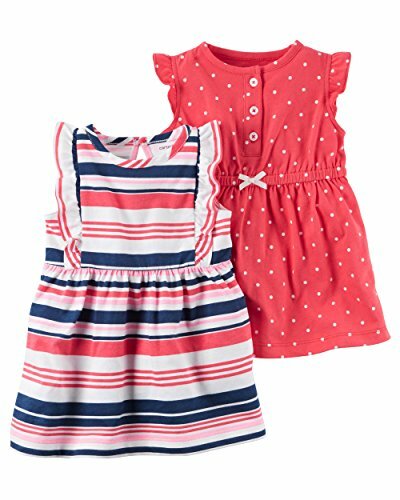 These dresses are sleeveless and made of 100 percent cotton for comfort and easy washing. They’re designed to slip on and off, without having to button or zip during changes. There are two in each pack and they come in several cute color options. For those of you that live in places where winter seems to last a lifetime, it’s still possible to find adorable dresses. This one is long-sleeved and made of a sweatshirt-like material, for added warmth. There are seven different color options — all of them in solid colors for easy pairing with any pant pattern. They are machine washable for easy cleaning. Sizes start at nine months and run until 3T. At some point, you’ll find yourself looking for a fancy dress for your baby, and this is a great option. It’s available in white or blush pink. You can also choose whether you want a matching bonnet or headband. Formal dresses usually will need to be hand washed, and that’s the case with this dress, to protect the beautiful flower embroidery at the top. Once your child grows out of the newborn stage, dressing them is even more fun because they don’t have diaper blowouts every five minutes. Comfort and quality material are still super important though. These dresses are 95 percent bamboo viscose and 5 percent spandex, making them soft and stretchy for easy movement. There are so many adorable style and color options, but you do only get one dress at a time. These dresses come in a pack of four — giving you more bang for your buck. They’re 100 percent cotton and machine washable. Sizes range from newborn through to toddler years. Because they’re short-sleeved, you can have fun with layering. For chill mornings, throw a jacket on top. When the afternoon warms up, take it off and they’re ready to go. Each dress in the pack has a different style, but it only comes in one color scheme. Anyone with a toddler knows — these are the years they start to really show their personality. And a lot of them love to dress up. 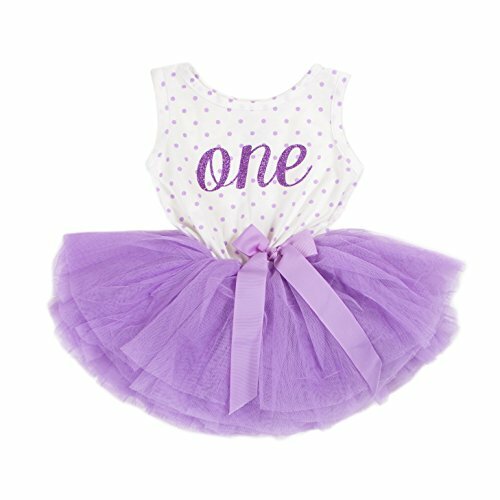 This dress will give your little girl both comfort and the chance to express herself. The top is 100 percent cotton and the skirt is 100 percent tulle. Even with the tulle, it’s still machine washable. Two dresses are included, but the color options are limited. Size ranges from 2T to 5T. As your baby grows out of the newborn stage, heading to the pool or the beach is a great way to get them outside during the hot summer months. This swim cover-up offers both zippered and non-zippered dress options. It has three different color and style options, but all of them come with a hood to keep baby’s wet head warm. They’re hand wash only to protect the terry cloth material that makes them so soft. Your baby girl’s first birthday is really something to celebrate. It’s also a chance to make her feel special. These dresses are handmade in a poly-cotton blend, so they’re easy to clean — still a really important factor for a one-year-old. They come in a ton of different color options, but all with the word “one” written across the front, to celebrate the birthday girl. 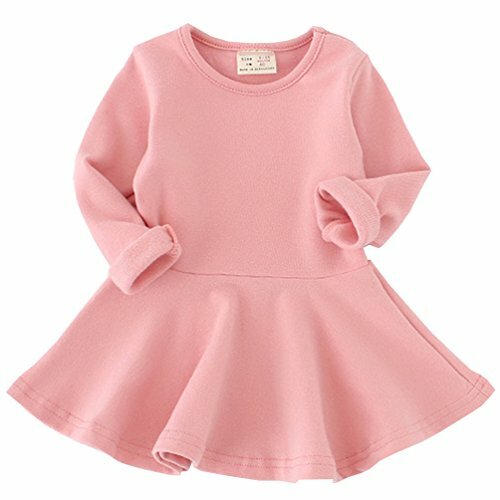 Dresses are a great option when it comes to baby clothes. They make it easy to layer, and diaper changes are a breeze by just pulling up the dress and changing it out. Finally, they don’t restrict movement, making it easy for your baby to crawl, walk and jump — all of which are important developmental skills. 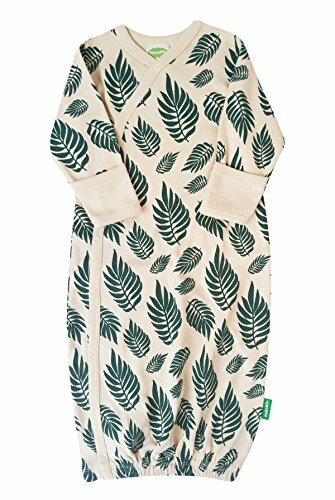 My favorite is the Touched by Nature organic dress. You get two in a pack, and they have almost endless style options. 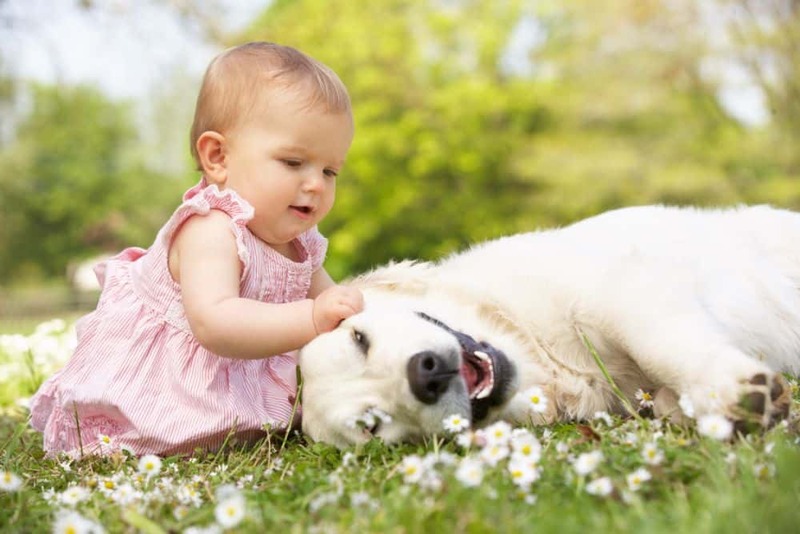 Because they’re organic, you know your baby’s skin is safe. 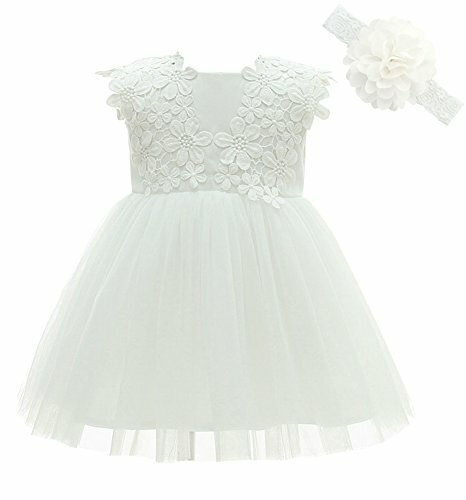 Do you have a favorite dress that your baby loved to wear? Did you notice any fabrics that didn’t work for your child? Share your advice in the comments section below.